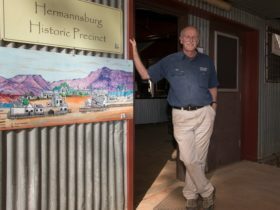 Hermannsburg (est. 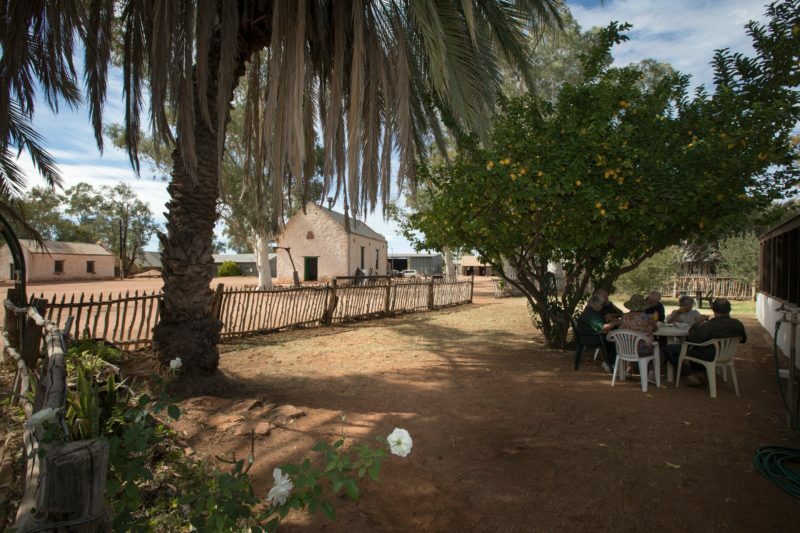 1877) was originally a Lutheran mission and was the first town in Central Australia, pre-dating Alice Springs. 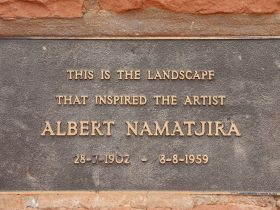 It was also home to the famous Aboriginal watercolour artist, Albert Namatjira. 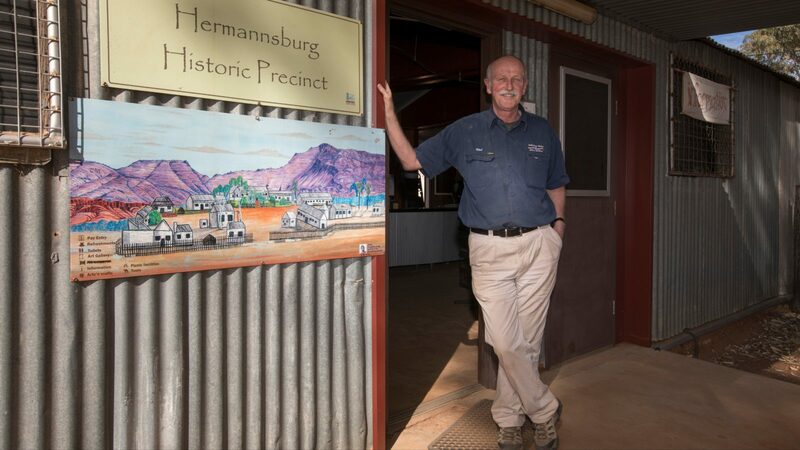 In 1982 the area was returned to the Aboriginal people and in 1988, the German style whitewashed buildings were restored to their original 19th century condition. 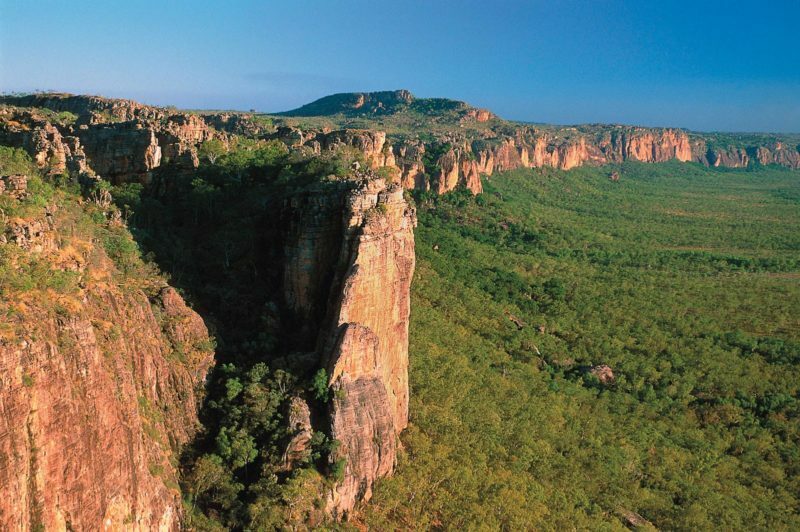 It is now on the National Heritage Register. 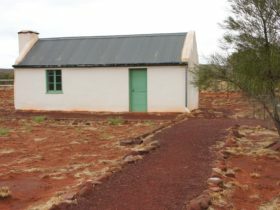 Over a dozen buildings including the church, school buildings, tannery, meathouse and various mission residences can be explored. These buildings date to the 1880’s and 1890’s. 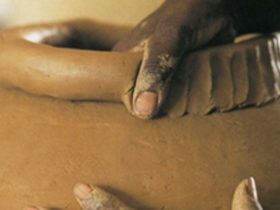 As you wander through the buildings, learn of the sorrows and the joys of the early missionaries but more importantly learn how the local Aranda people and the Europeans worked together to survive and thrive.